The Tusah WTF approved Taekwondo Head Guard is made and approved for all WTF competitions. 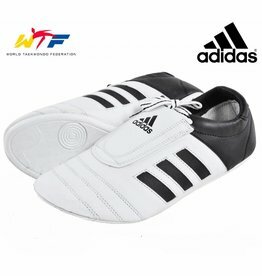 They have the perfect amount of padding needed for WTF Taekwondo sparring and kicking. This Taekwondo Headguard is packed full of features to help you train better and safer. The head guard has additional padding around the ears, this stops your ears getting hurt in competition but also features large air holes to you can hear perfectly well and provides ventilation and heat control. For all WTF Competitions you wear either a Red or Blue Helmet, depending on which corner you have be drawn to fight in. These white head guards are for club training, which in truth will take much more punishment and you’ll probably need to replace more often than your red or blue head guards. They are WTF approved as well CE approved.